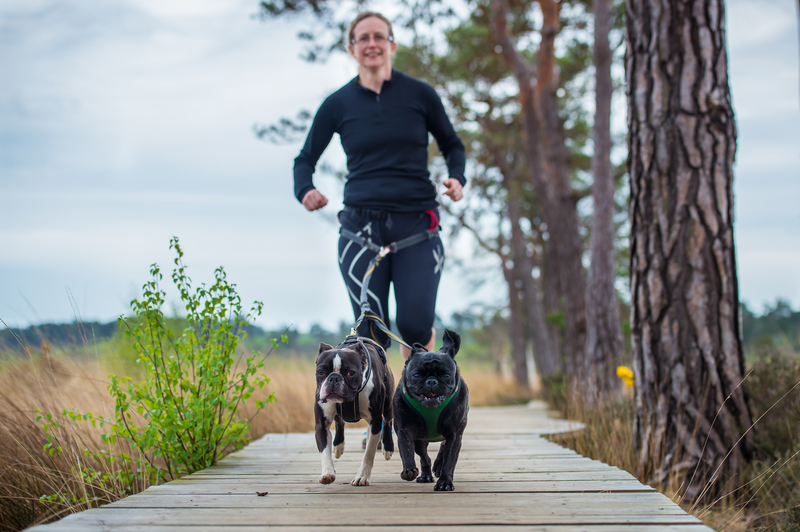 So you’ve decided that you want to get fit with your dog and love the idea of off road running together. But how do you practically go about canicross with your dog? What kit do you need? What other advice would be useful to know to help you get the most out of this wonderful sport? This Beginners Guide to Canicross covers everything you need to know about getting started in trail running with your dog. Remember, canicross is a fun and social sport and the most fulfilling part is the special bond you create with your favourite running buddy. So with all the tips below do bear this important element in mind. All you need to get started in canicross are three items; a waist belt for you, a harness for your dog(s) and a bungee line. There are a few brands and styles out there that all do a great job but we appreciate it can be a minefield. Which is why we only supply kit that is personally used and recommended by us (and that is popular with other experienced canicrossers). So feel free to contact us for some advice or check out our special offer Starter Set.. We put this offer together especially for people new to canicross and it includes free P&P and a free canicross guide and kitbag. I would recommend starting off with one dog – two’s fine if they are easily manageable. It just means you can concentrate on your dog and on getting used to running with the canicross kit. You don’t need to run with a specific breed or size of dog (anything goes as long as they are healthy enough to take part!). So long as both of you are willing participants and you always put the needs of your dog first then you are good to go. 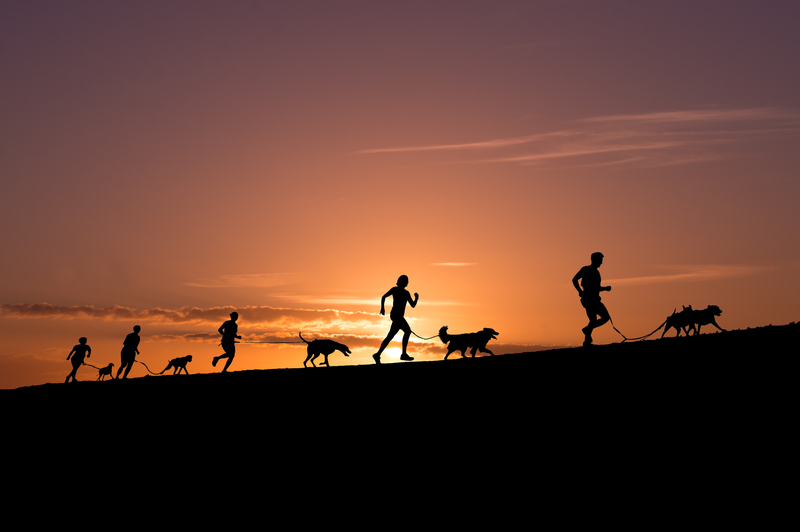 Just like with any sport, you and your dog should build up your canicross running gradually. This means you are more likely to stick to the sport, avoid unnecessary injuries and most importantly, have fun! So, whether you are following a structured programme, like a couch to 5k, or doing your own runs, it’s good to start short and easy and build up slowly. Overtime, as you both become more proficient and build up your stamina and experience then start introducing more variety to your runs. One of our DogFit Trainers, Catherine Hammon, wrote this excellent blog all about this fascinating topic. Please note, if you are in any doubt as to whether you or your dog are physically ready to start running then do consult your GP or Vet. Canicross is very much a social sport so it’s much more fun to do it with other people and their dogs. Not only is it a great motivator but your dog will most likely pick up the sport quicker. Either get together with some of your friends and run some of your favourite routes or join one of our DogFit classes. Our classes and programmes are perfect for complete beginners – so you can try out the sport or join a Couch to 5k course without feeling the pressure to keep up with more experienced runners. 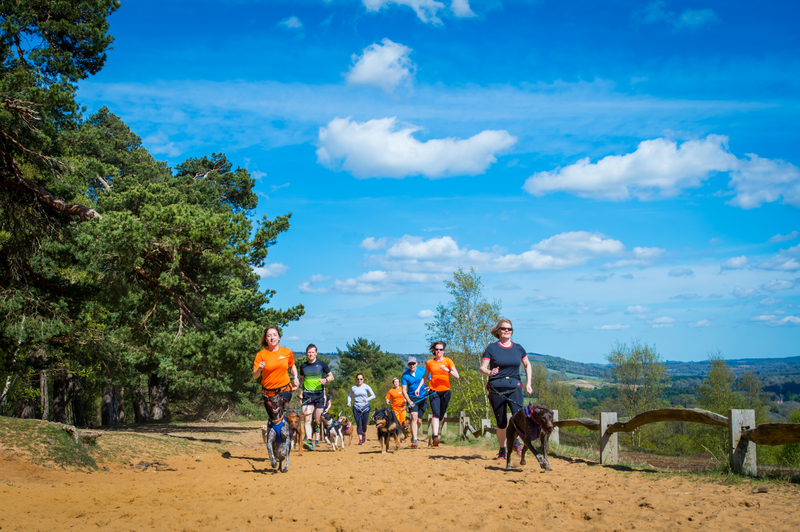 We focus on helping beginners learn the basics of canicross, to build a bond with their dog and to enjoy the sport in a safe, fun and effective way. Plus you meet up with like-minded people and we’ll take you out on some beautiful cross country routes. Surely this beats going down the gym?! It goes without saying but always put the needs of your dog first. It’s basic common sense really. Don’t run them immediately after food, don’t push them if they are lethargic or struggle with the warmer temperatures and make sure they are hydrated – it’s worth carrying water especially over the summer months and longer distances. For those warmer days, you may want to invest in a cooling coat for your dog. The Ruffwear Swamp Cooler is very popular and can be worn during and/or after a run. During the colder months it’s also with having a fleece/coat for your dog for when you hang around after runs. A lot depends on your dog’s age, fitness and general health – if ever in any doubt, you should get them checked over by your vet. Even when you get more competitive and start to enter races, your dog’s welfare should always come first! 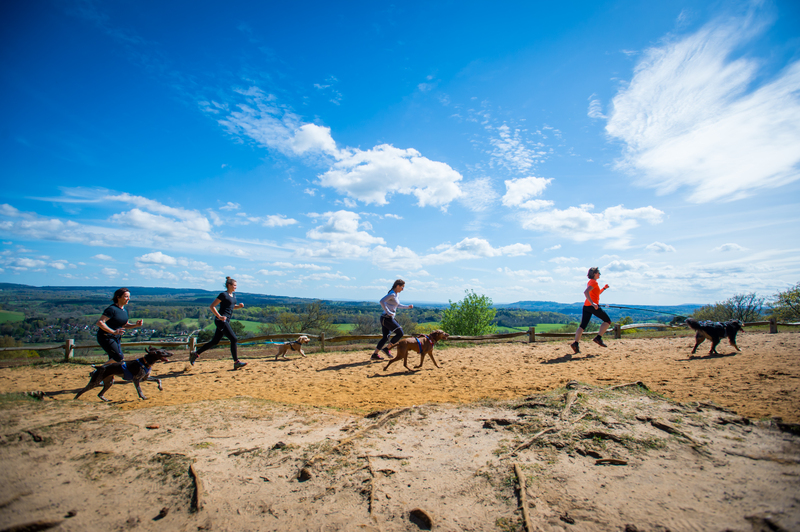 Check out our blog by veterinary expert Guy for top tips on running in the warmer weather. Good communication between you and your dog is key….plus it’s so much more fun! Once you and your dog are comfortable running with the kit, introduce some basic commands, such as left, right, with me, back etc? I’ve found this invaluable when I’ve run some of the more technical courses out there, plus it’s a really good bonding exercise for you and your best pal. Check out these handy canicross commands. 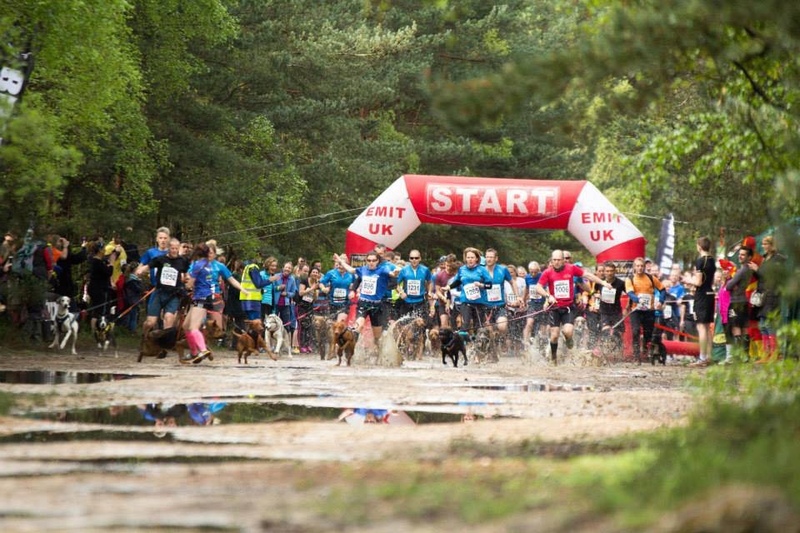 More and more events are accepting canicross entries which is fantastic. You have to experience it yourself to really appreciate the atmosphere at the start of a canicross race. But trust me, it’s electric and you and your dog will love it! 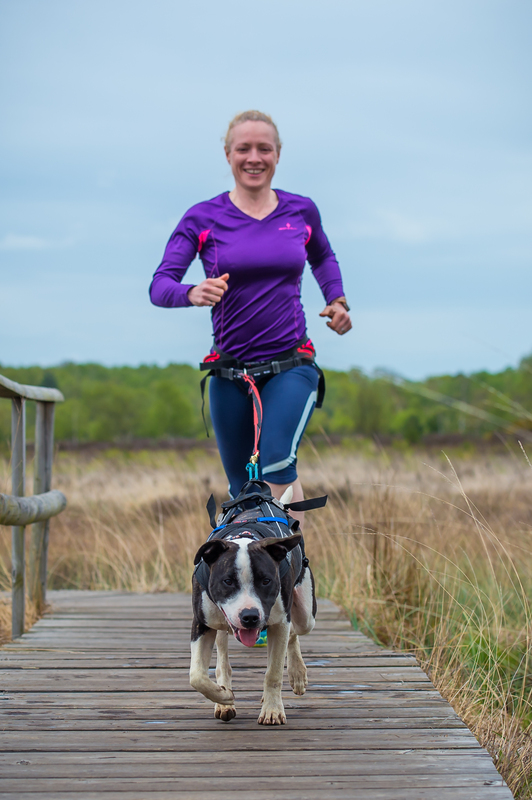 The Brutal10 series is canicross friendly and an amazing experience! A great thing about canicross is that it isn’t just a daytime sport. The only additional accessory you really need is a head torch, though it’s worth investing in a decent one. Just pick some good routes you already know and that aren’t too bad underfoot. You have to take your dog out anyway, so why not make it a fun run with friends? Follow these tips on how to get the most out of running in the dark evenings. Canicross is quick to pick up and it’s a very sociable sport. My dogs love it and I have made so many wonderful friends as a result. Races are great but it’s the experiences that matter and that’s what makes this a truly amazing sport! So that’s my Beginners Guide to Canicross and getting the most out of running with your dog. It’s that simple and I promise you it’s so much fun!